The new experience is all about vertical video. As rumored, Instagram is ready to get into long-form video. 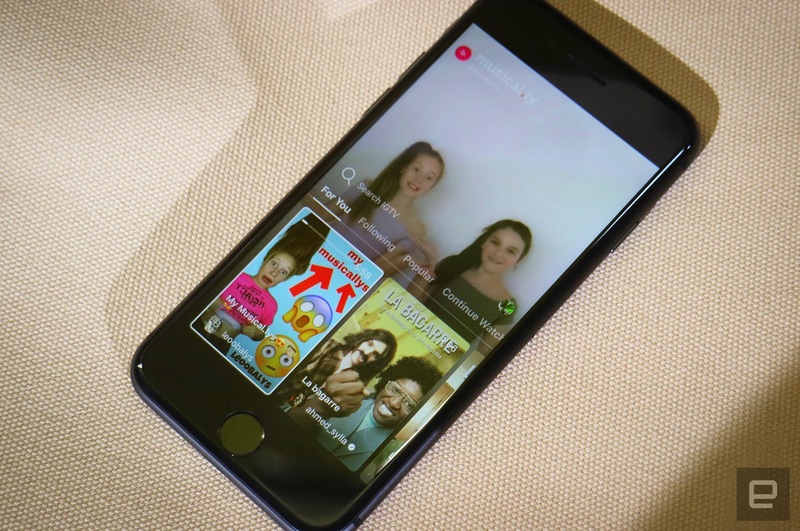 And today the company made those plans official with the reveal of IGTV, its new standalone video app geared toward internet creators, like the ones who have made a living out of YouTube. IGTV is all about vertical videos, and although it has its own app, you can get the full experience within the main Instagram application, too -- from uploading to keeping up with your favorite content makers, including the cutest dog on earth, Jiffpom. Inside Instagram, soon you'll see an icon that'll take you into the full vertical video experience, or you can choose to download the IGTV app if you want to keep Stories and pictures out of it. Instagram says it wanted to give people the option to choose, rather than forcing them into a separate experience. Once you're in IGTV, the experience is quite seamless. You'll instantly see videos from people you already follow on Instagram, and then you swipe to the side to keep browsing. If you swipe up, you can discover more content through four different tabs: "For you," "Following," "Popular" and "Continue Watching," which you can like, comment on or send to your Instagram friends via direct message. IGTV is going to be perfect for creators with thousands or millions of followers -- especially since Instagram has an audience of 1 billion monthly active users -- but anyone with an account can upload videos up to an hour long. Yes, you too can try to become an influencer on IGTV. Instagram said that the hour-long limit is only for the launch, since it plans to eventually let people upload content without restraint. IGTV is coming to iOS and Android in the next few days, but in the meantime, you can watch some of these vertical videos starting today in the Instagram app.